Found this at Toyota Round Rock! How cool! WOW... that's several $K more than I paid for a BRZ Limited in June. That's a lot extra to pay for the same interior features but some lowering springs and some limited edition notes. Am I missing something else that comes with this? As a side note, I have an event Friday that prevents me from getting up at 6:30AM to drive 2 hrs to Medina. I'll have to get on the next outing, preferably one that starts at 10a. I looked at all the features in person. The best part is the rear section. The rest of the stuff you can live without. It's just a bunch of TRD stuff slapped on the inside. They didn't have the TRD wheels on that one either like they are supposed to come with. I think that's optional though. Either way, I'm still happy with my 2013 FR-S. I picked up my frs last month and just found this thread. Do you guys meet often? Ive been to the renegade meet before up north just wondering if there was anything else going on. I guess what it comes down to is "Is all that stuff worth $5K+ more in price at a dealership that doesn't move off MSRP?". 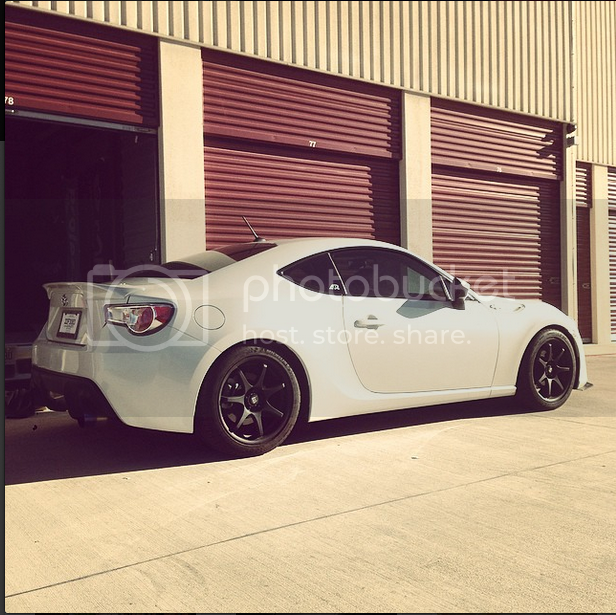 I have a hard time saying yes to that even with all the TRD bits. To be honest, if I'd have been willing to go another $5K up I'd have been well into CPO 135i territory (plus or minus all that entails). In other words, a 200hp car in flashy yellow for $32.4K is liable to be there for a lot longer. Do you guys meet often? We should have a low key Austin 86-only meet that's not at 7AM. Central, because I'm central. And lazy. Guys the weather got me tonite. I hydoplaned and knocked a Jeep. Everyone was ok, but my car got the brunt of it all. My passenger front fender, hood passenger headlight, & part of my bumper is toast I don't know any good body shops out here & I need recommendations asap. I'm in Kyle, so I guess I'm looking for the best body shop in the south Austin to San Marcos area. The flatbed is coming tomorrow. Help!!!!! I'm the only one that goes to Renegade from the forum. I've seen one or two more BRZs, but you'd have seen my car if you went to Renegade. Most of us are older/lazier, so car meets aren't really their thing. What where and when is renegade meet ups i will be down next weekend. First Friday of every month so you'll miss it by one week lol. 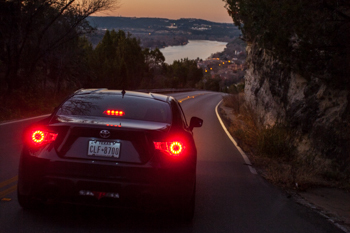 But there should be a cars & coffee, just not sure if it's Round Rock or Killeen. Austin's is 2nd Sunday of the month. Leander Cars & Coffee - 1st Sunday of the month. Renegade meet - First Friday of the month. Oasis Cars & Coffee - 2nd Sunday of the month. So the 31st and 1st there wont be anything going on? Just the Leander Cars & Coffee on the first.